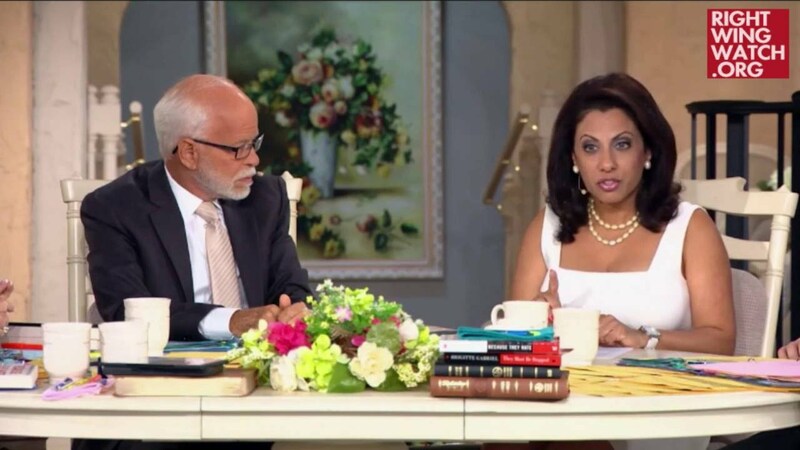 Charisma House, the book publishing arm of the Trump-boosting Pentecostal media operation Charisma, announced in March that it will be publishing the next book by anti-Islam activist Brigitte Gabriel, who Charisma called “an important and influential voice in politics and American culture today.” After the announcement, Charisma CEO Steve Strang used an episode of his podcast to promote the book as well as the fall conference hosted by Gabriel’s extremist group ACT For America. “Rise: In Defense of Judeo-Christian Values and Freedom,” will be released on September 11, 2018. ACT for America’s 2018 conference, which will be held just outside Washington, D.C., a few days earlier, will take the book’s title as its theme. During last year’s gathering, Sen. Ted Cruz was among the members of Congress who addressed the group. In the Charisma podcast, Gabriel talked about deciding after the September 11 terrorist attacks in 2001 that she would warn the world about the threat of radical Islam, which her family had fled in Lebanon. She gave ACT For America, which she described as “the largest grassroots national security organization in the nation,” credit for the passage of 100 bills at national and state levels. Gabriel and ACT for America have a track record of strident anti-Muslim rhetoric. After the 2016 Democratic National Convention, Gabriel said that Gold Star father Khizr Khan–now a People For the American Way board member—was lying either about being Muslim or following the Constitution, because, she claimed, a practicing Muslim cannot abide by the Constitution. Since Trump’s election, Gabriel has bragged about having a “direct line” to the president and about its close ties with Mike Pompeo, who recently moved from heading the CIA to becoming U.S. Secretary of State. Gabriel will address current cultural threats to our nation such as abortion, kneeling for the national anthem, flag burning, antifa disruptions and mainstream media corruption. Rise is a battle cry for those seeking to preserve religious freedoms, maintain national security and protect areas of everyday life from the PC police. Gabriel issues a call for readers to unite with other believers to preserve our country’s Judeo-Christian values.